Many of the nation’s leading experts in precision medicine and pharmacogenomics came together in Orlando for the 2019 University of Florida Precision Medicine Conference. 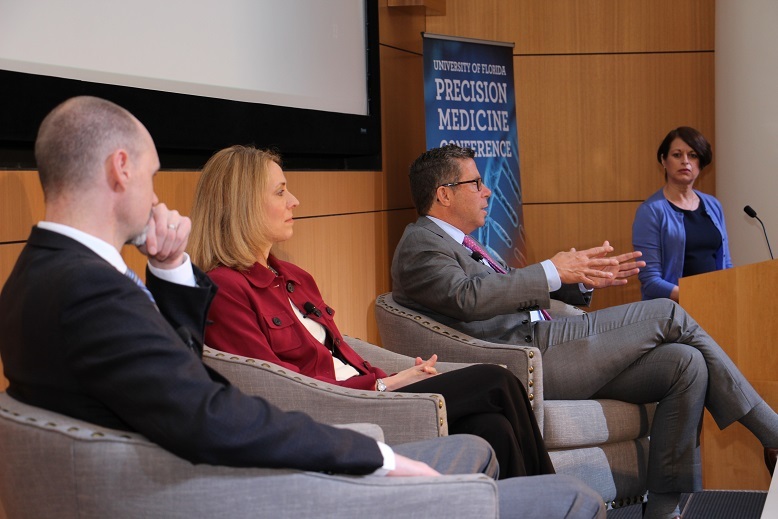 Held March 7-8, the event featured a diverse program that highlighted the many areas of interest in precision medicine from research advances to clinical implementation. Day one of the Precision Medicine Conference took place at the GuideWell Innovation Center in Lake Nona, Florida. The nearly sold out conference attracted more than 200 attendees representing various interests in health care, including pharmacists, physicians, genetic counselors, students and a myriad of other health care professionals. Interest in the event stretched worldwide, with attendees from as far away as Colombia and nearly 30 states represented, including Hawaii. Now in its fourth year, the UF Precision Medicine Conference has evolved from an event focused primarily on pharmacogenomics to cover multiple aspects of precision medicine. Euan Ashley, B.Sc., MB ChB, FRCP, DPhil, FAHA, FACC, FESC, a professor of medicine, genetics & biomedical data science at Stanford University and William Dalton, M.D., Ph.D., executive chair of M2Gen and founding director of the Moffitt Personalized Medicine Center, provided the keynote addresses. Ashley offered a timeline for major milestones in genomic medicine and highlighted the long and arduous journey toward clinical acceptance of precision medicine — comparing it to the epic Greek poem, The Odyssey. Several speakers addressed the growing interest in direct-to-consumer genetic testing. These tests provide people access to their genetic information without involving a health care provider. The marketing of these products has created public awareness of precision medicine and genetics’ role in drug therapy. 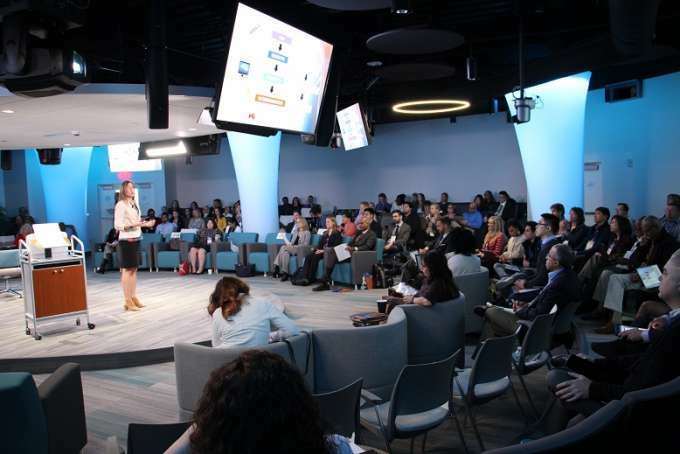 The UF Research and Academic Center in Lake Nona hosted day two of the 2019 Precision Medicine Conference. “More and more the landscape of precision medicine is changing with direct consumerism, where patients are being proactive in seeking this information rather than reacting when they need it,” said Peter J. Hulick, M.D., MMSc, the director of the Mark R. Neaman Center for Personalized Medicine at NorthShore University HealthSystem and a clinical assistant professor at the University of Chicago Pritzker School of Medicine. More than 25 speakers led sessions and participated in panel discussions during the UF Precision Medicine Conference. They shared real-world experiences and challenges; made the case for preemptive pharmacogenomic testing; presented emerging practice models; and reviewed complex patient cases.